Colour printers for sale at the best price in Melbourne. Our colour printers are not only fast and reliable, they are the best in the industry. Copywell Australia stocks a huge range of award winning colour printers that have the grunt when you need it. Boasting the lowest copy cost in the business, network printing capabilities our range of ultra fast, compact colour printers produce outstanding high quality prints every time. Brands include: Ricoh, Lanier, Samsung, Fuji Xerox, Sharp, Canon and Kyocera. 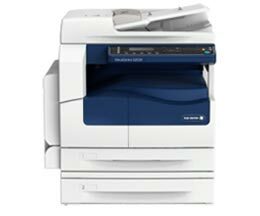 Lanier, Ricoh, Kyocera, Sharp, Canon, Fuji Xerox colour printers for sale at the best prices in Melbourne. For more information regarding our range of new and used Lanier, Ricoh, Kyocera, Samsung, Canon printers, copiers & fax machine sales and repair solutions, simply contact us direct on (03) 9793 7773 or via our enquiry form. Our staff look forward to assisting you with all your home and office printer, photocopier and fax requirements.